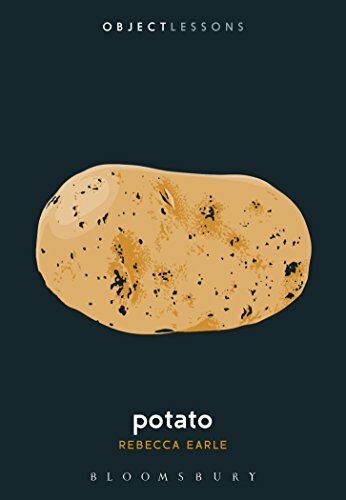 Rebecca Earle, a professor in history at the University of Warwick, intellectualizes the history of potatoes to portray the tuber’s entanglement with the emergence of modernity, the birth of the liberal state, and with the idea that the individual is the basic building unit of society. The story of potatoes unfolding over the centuries bears a close resemblance with human stories replete with ordinariness, grit, prejudice, migration, and changing fortune. That a humble crop, as potatoes have always been, can have a huge impact on human civilization seems an exaggeration. Yet the biographies of potatoes by Earle and others before her furnish fascinating accounts of potatoes, first cultivated in Peru and Bolivia as far back as 8000 BCE. The European colonists brought the potato to Europe. As an immigrant, writes Earle, the potato met humiliation in Europe in ways “depressingly resonant of today’s anti-immigration rhetoric.” The potato was put down as exotic, cheap, ugly, dirty, evil, un-Christian, food for animals and lower classes, a cryptic root (not a vegetable) that causes disease including leprosy. The aristocratic classes shunned potatoes but adored tobacco, another New World produce—of course, not knowing that tobacco is a killer. Of all the peoples in Europe, the Irish, whom the English have demeaned through the centuries, welcomed the potato as a kindred spirit. The Irish and the potato became interdependent allies. One nurtured the other until the famine (1845–49) conspired to shatter the partnership. The famine killed a million Irish and forced another million to emigrate to the United States where they would confront intense discrimination at the hands of the English progeny. The English colonists of Ireland, says Earle, interpreted the Irish famine as the fiasco of a mono-dimensional economy that had refused to embrace modernity and of an easygoing people who had refused to work hard and diversify labor. The potato historian Redcliffe Salaman, a British botanist, declared the potato “the most perfect instrument for the maintenance of poverty and degradation.” The prejudice against the potato augmented the prejudice against the Irish. The market value of persons and things determines their fortune. By the force of the markets, the earlier bad-mouthing of potato turned into puffery of its virtues. New recipes proliferated across the European continent to advertise and dignify the consumption of potatoes. Fortunately, the potato encountered little discrimination in the United States, a country of struggling immigrants. The globalization of potatoes is anything but a straightforward journey from Peru to Spain to Europe to the rest of the world. The unknown sailors may have trafficked the potato seeds, much like undocumented aliens, in many parts of the world. For example, potatoes had entered Iran, Central Asia, and the Mughal India long before the Britons arrived. Nowadays, more than 4,500 varieties of potatoes have been assimilated in numerous local cultures and cuisines. China, India, and Russia, the top three potato producing countries, like almost every other nation, claim potatoes as indigenous produce. Whether utility can overcome prejudice is still an unsettled question. Adam Smith, the founder of American capitalism, recommended potatoes as efficient food for the masses. Less land produces more potatoes than wheat, he argued, and a well-fed population builds a stronger state. Earle claims that the potato as a nutritional source has contributed to the world population growth by as much as 25 percent. A poster “Potatoes are immigrants” appeared across the fish-and-chips United Kingdom, says Earle, as the people were voting for Brexit, a vote prompted by an intense fear of the immigrants. Earle’s book is more a work of literature than a chronicle of potatoes. The metaphorical potato straddles the book much more confidently than the physical potato. The narrative is pleated with Marxist insights as peasants and workers in Britain and elsewhere employ potato slogans to protest “the exploitative system” of low wages and wretched working conditions. “We will not live upon potatoes” screamed a banner. In the final chapter, Earle transcribes her own family history. Her grandparents immigrated to the United States and later she herself immigrated to England. Her immigrant Austrian grandfather lost the sense of national identity, saying “I don’t’ believe people of my sort feel truly at home anywhere.” The immigrant grandfather captures the feelings of millions of voiceless immigrants, waiting at borders, rotting in detention camps, standing behind the walls, separated from families and children, some homeless and almost all uprooted–much like the Peruvian potatoes. Earle has written a fine book, much in the tradition of ekphrasis, which burrows and shovels art objects to cultivate a piece of writing.